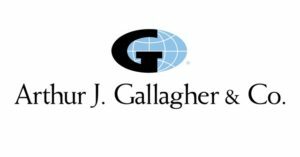 Global insurance brokerage Arthur J. Gallagher & Co. has acquired Interstate Insurance Underwriters, a Louisiana-based managing general agency (MGA), for an undisclosed fee. This deal follows Gallagher’s announcement on January 7 that it had signed a definitive agreement to acquire specialist UK insurance broker Stackhouse Poland. “Interstate Insurance Underwriters is a well-run MGA offering a broad range of coverages that will give Risk Placement Services (RPS) a presence in northern Louisiana,” said J. Patrick Gallagher, Jr., Chairman, President and Chief Executive Officer of Gallagher. Gallagher says the firm’s Managing Partner Lawrence Calhoun; Partner, Finance Manager, Underwriter Taylor Calhoun; Underwriter Logan Calhoun and their associates, will remain in their current location as a satellite of Risk Placement Services, Inc.’s Covington, Louisiana office, operating under the direction of Joel Stinson, Head of RPS’s South Central region. “We are excited to welcome Lawrence, Taylor, Logan and their team to RPS,” added Gallagher. Interstate was founded in 1963 and offers a variety of property/casualty coverages through agents and brokers throughout the state of Louisiana, with a focus on general liability, property, garage and inland marine risks.